I actually got my husband to admit Di-Gest Plus was helping! I have been taking Di-Gest Plus for 3 months due to being told my my naturopathic Dr. to take it...I works well for me I think. 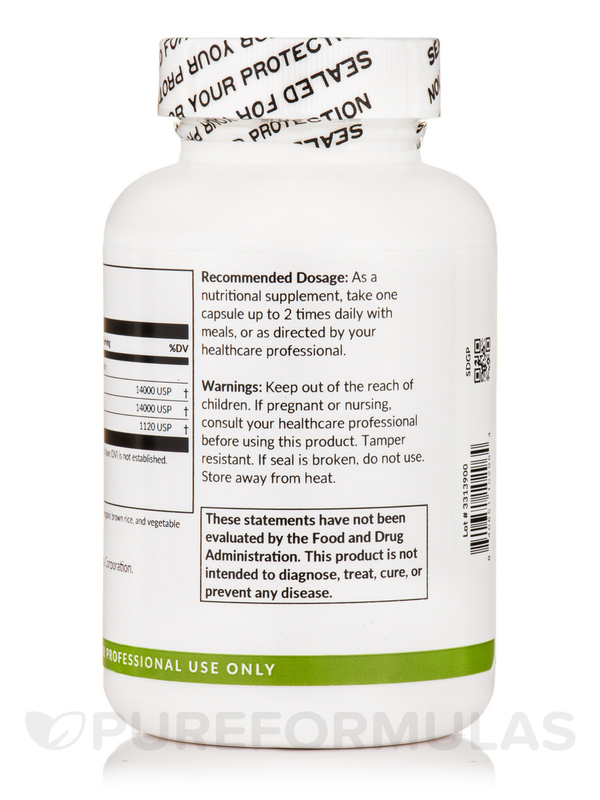 Di-Gest Plus is an enzyme supplement manufactured by Professional Formulas to help the digestion process. 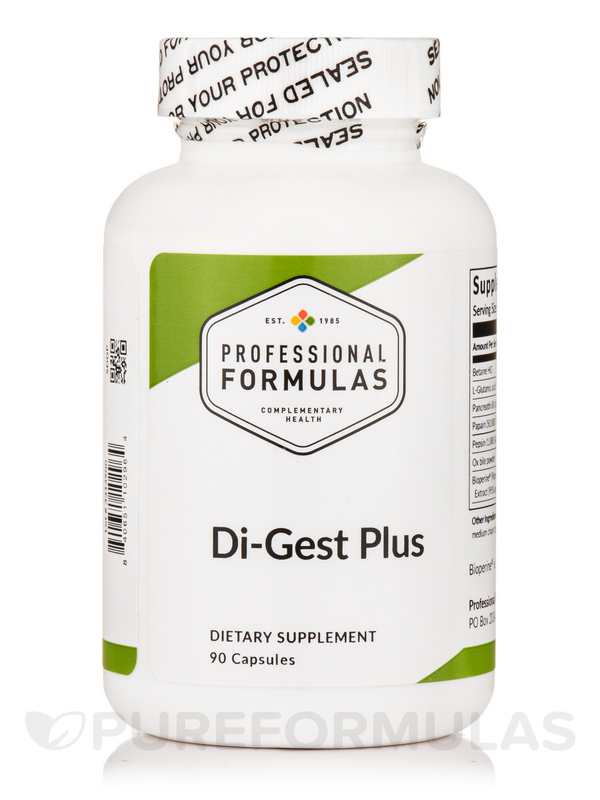 Di-Gest Plus is a nutritional supplement designed to help you digest your food properly‚ and assist in digestive problems in the upper gastrointestinal regions. 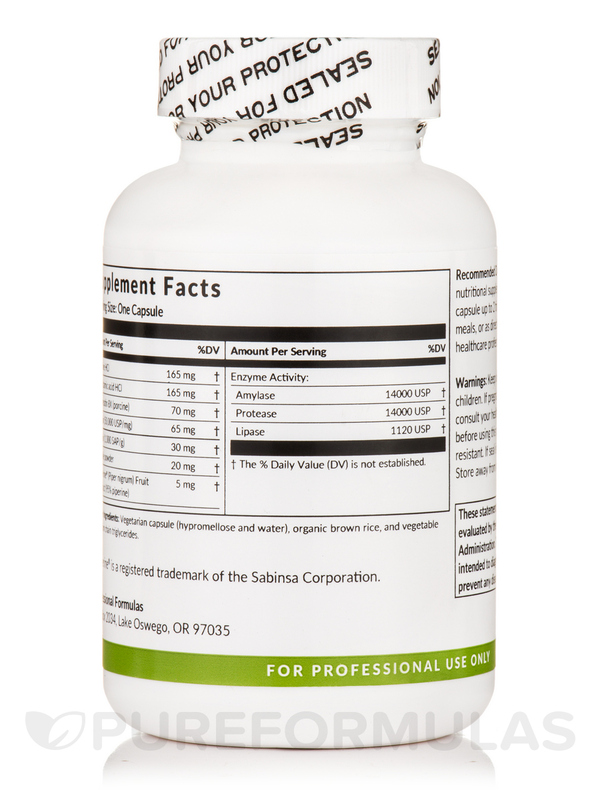 As a result you may experience less bloating or acid reflux. The hydrochloric acid (contained in the formula) is known to facilitate the chemical breakdown of food into smaller‚ absorbable and easily manageable components making it easier for your digestive system to process food properly. 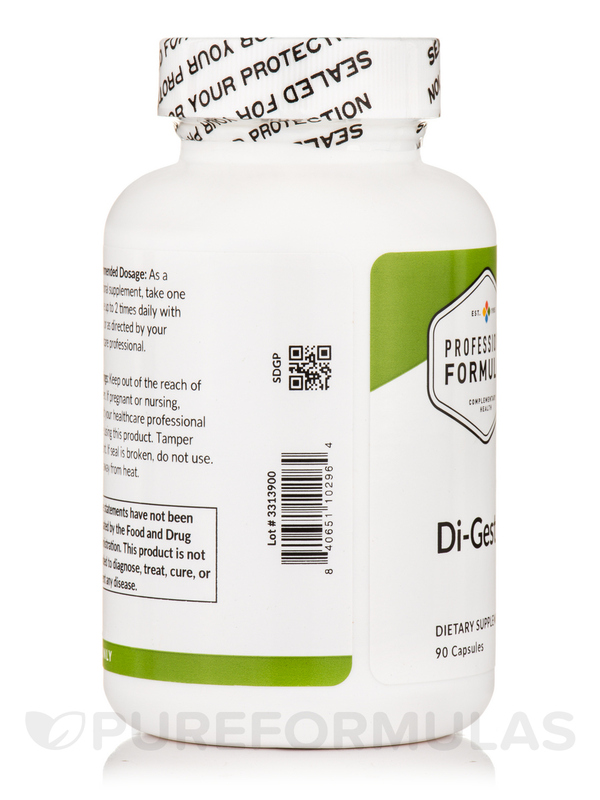 Di-Gest Plus is recommended for adults and children ages 12 and older. 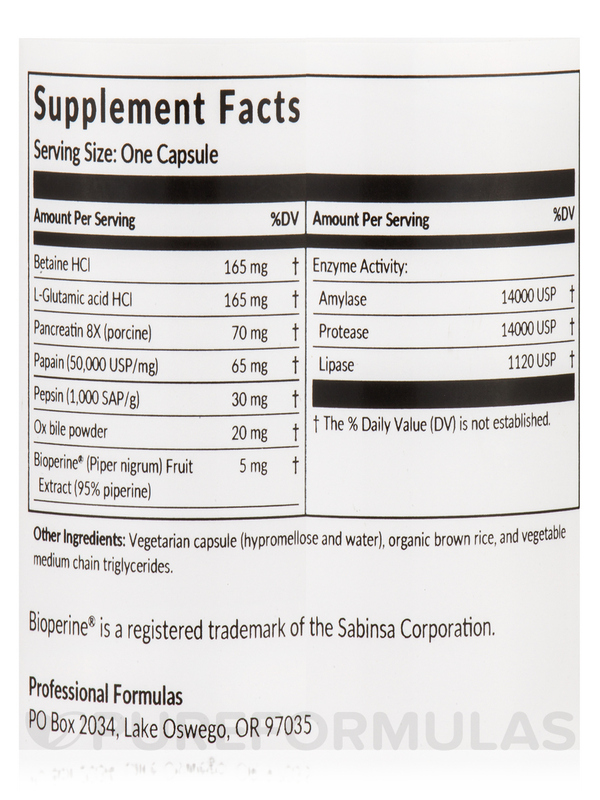 Other Ingredients: Vegetarian capsule (hypromellose and water)‚ organic brown rice‚ and vegetable medium chain triglyceride. 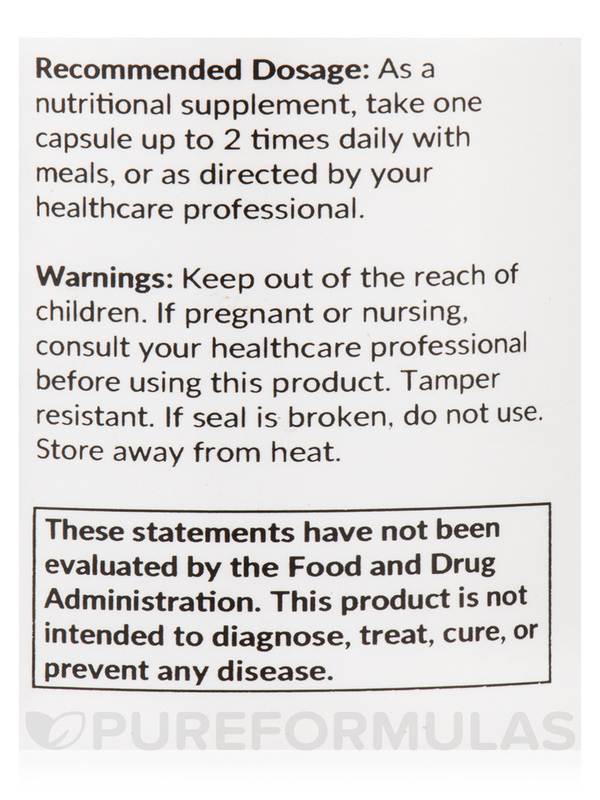 As a nutritional supplement‚ take one capsule up to 2 times daily with meals‚ or as directed by your healthcare professional. I had bloating and burping and indigestion with most meals (especially those containing protein) UNTIL my practitioner suggested this product. I take one with my meal and ZERO digestion issues! I was on prescribed acid blockers and omeprazole and nothing stopped the indigestion and reflux. I went and saw my nutritionist and started taking Di-Gest Plus by Professional Formulas and as an experiment stopped taking the pharmaceutical drugs . This works and I have little to no digestion issues. It is amazing! It is free of potentially harmful fillers. It has a slight odor. I have Crohn disease and need all the help I can get to be able to eat a balanced meal. Di-Gest Plus by Professional Formulas has been a blessing. One of these with a meal and no tummy aches. Wont go w/out it. 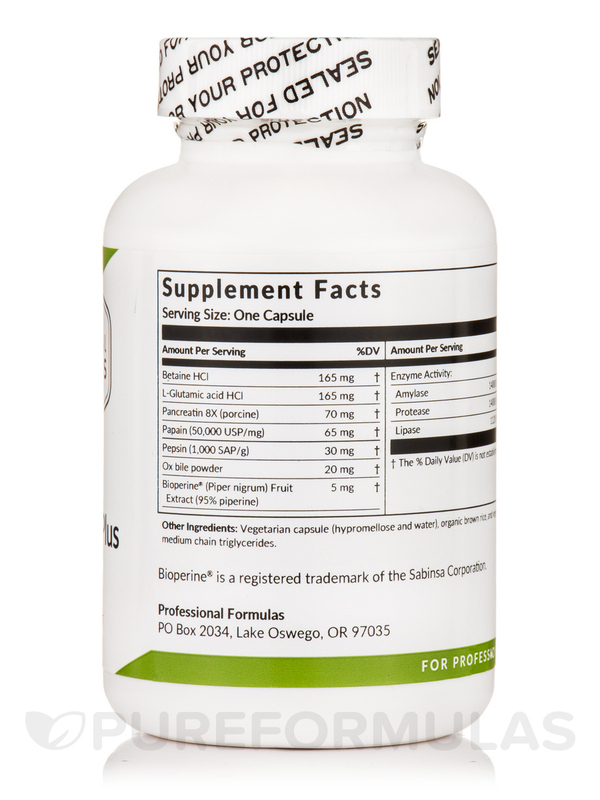 Great digestive enzyme! Helps keep the acid reflux and bloated tummy away!